Evocative and exciting even while driving with open sky, the Audi is definitely the most popular luxury car for lovers of convertibles. A car capable of dominating the road, with excellent performance even in long journeys. The navigation system and entertainment is visible in the center of the car, where all commands are also present to ensure a full of comfort driving. The cabin is fully soundproofed and with hood open, you can appreciate the scratchy sound of the engine, always very impressive. The hood opens quickly and disappears inside the trunk. 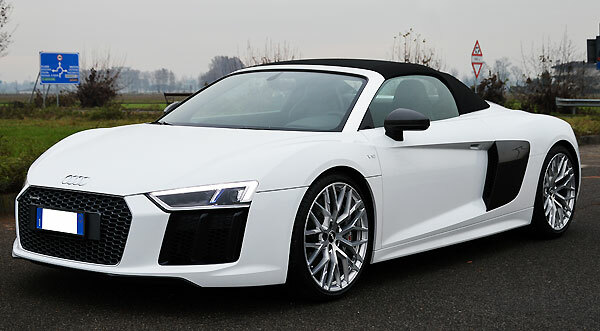 Audi R8 is the dream car of every tourist visiting Italy. The interiors are in leather with important details that emphasize the exclusive Made in Italy production. Enveloping and comfortable, the seats draw the line of the body for the maximum comfort even on long journeys. It will be carried out at the airport of Rome, Milan, Pisa, Venice, Bergamo, Naples, Florence and it may be returned in the same place or in a different city, thanks to the One Way Car Rental service. KLR is only demanding customers, accustomed to more exclusive luxury. Customers who want the ultimate in quality and organization. Included in the rental price will attend the VIP CARD SERVICE that it allows you to get assistance 24 hours for every need inherent the car. Among the services most appreciated by our customers there is the speed of both the delivery and the withdrawal, with a maximum waiting time of 5 minutes from the arrival. All practices will be handled in advance. At your arrival you just have to put a signature and you can leave for your destination. This tour is dedicated to those who love to live life at 5 stars. The route will touch the places of production of the most famous wines in the world known by the word SuperTuscan. 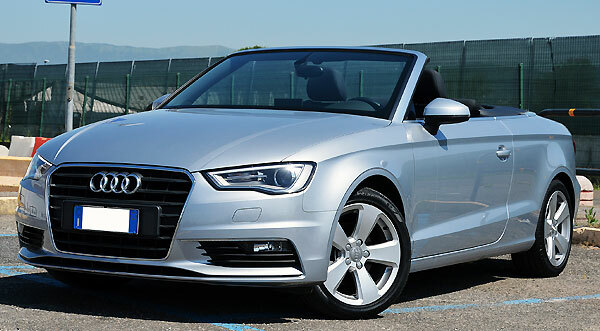 For this type of journey we recommend the Audi A3 cabrio or the Audi A5, perfect for visiting the prestigious wine cellars and travel kilometers of exciting street, immersed in the green Tuscan hills. This idea of ​​route expected the start from Pisa, visiting the wonderful Tower of Pisa, Piazza dei Miracoli, Piazza dei Cavalieri and l'Università Normale of Pisa, famous all over the world, then drive along the coast towards the south with a visit to Bolgheri, San Casciano Val di Pesa, Castagneto Carducci, Bolgheri Castellina in Chianti. 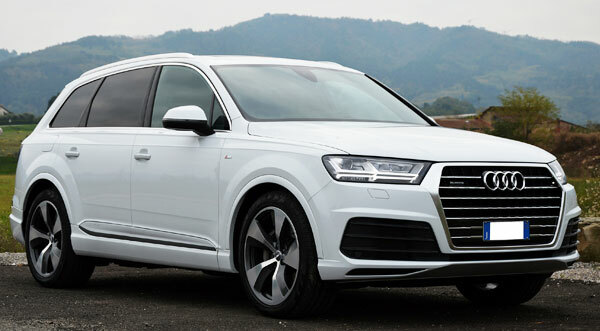 "Audi Q7 rental Italy "
Lively engine, the excellent stability in every type of soil and the rapid cornering, typical of all Audi, make this car one of the requests for short-term rental.